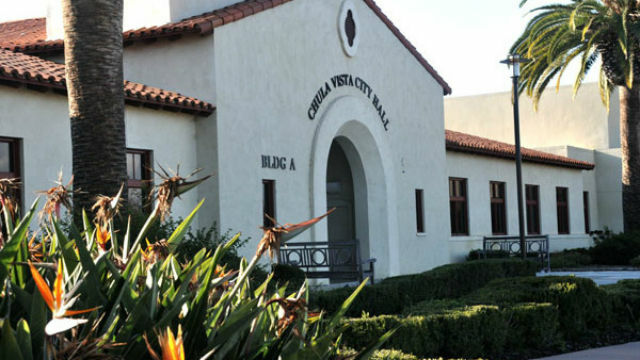 The Chula Vista City Council approved a resolution opposing the Trump administration policies that resulted in separation of immigrant children from their families. San Diego County’s second-largest city approved the resolution on a 3-1-1 vote on Wednesday night. Councilmember Mike Diaz opposed and Councilmember John McCann abstained. “We can all feel pride that the City of Chula joins Solana Beach as the only two cities in San Diego County to speak out against this most recent example of cruelty and xenophobia carried out in the name of the country we all love,” said Councilmember Pat Aguilar, who co-wrote the resolution with Mayor Mary Casillas Salas. She likened what happened at the border to the forced relocation of Native Americans, internment of Japanese Americans and deportation of Mexican Americans in earlier periods of American history. “The recent inhumane and immoral separation of children from their families at the border now joins this shameful list of indefensible policies and actions,” she said. The resolution directs Salas to forward the document to local Congressional representatives, Senators and President Trump.